In his teachings on the Theology of the Body, Saint Pope John Paul II spoke to the heart of our desire to be happy and free. This message invites us to discover how to decode love, and how our bodies relate to our call to love and the gift of self in the modern world. 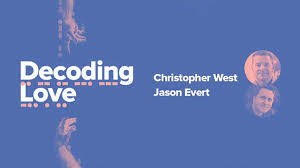 Jason Evert and Christopher West, two of the world’s foremost Theology of the Body experts and enthusiasts, will give 7 sessions in Montreal. Come join us to discover and embrace God’s call to greatness in our lives.